You'll be £15.99 closer to your next £10.00 credit when you purchase Beside the Seaside. What's this? Almost all of us have happy memories of excursions and holidays spent beside the sea. For many, these will have included the Yorkshire coast which runs unbroken for more than one hundred miles between the two great rivers, the Tees and the Humber. Within those boundaries are the popular seaside resorts of Whitby, Scarborough, Filey and Bridlington as well as numerous smaller and quieter but equally well-loved destinations. How did the love affair with the area start and how did it develop? Over the years, all the ingredients for the perfect holiday are there - the spas, the sea and sun bathing, board and lodgings, entertainment and just as importantly, the journeys there and back. “Beside the Seaside” takes a detailed but entertaining look back at the history of these resorts over the last four hundred years and asks, “what does the future hold?” Packed with information, this book is fully illustrated with photographs, old and new, together with paintings and etchings. Coupled with the thoughts and memories of tourists and travellers from the 17th century through to the present time, it gives a fascinating insight into how our ancestors would have spent their time at the coast. Evocative and intriguing, absorbing and surprising, John Heywood’s book will appeal both to those familiar with the area and to others who just enjoy being “Beside the Seaside”. A wonderfully nostalgic and halcyon glimpse of treasured carefree times evoking reminiscences of deckchairs, laughter, distant fairground music, seagulls, ice-creams and donkey rides all lavished with sunshine and temperature that necessitated a paddle in the lapping waves. The author has an endearing style which first captivates and then compels, drawing the reader further through the pages to the delight of the beautiful illustrations. I thoroughly recommend this book to those who are hooked on the seaside and to those who are just dipping their toes in. ★★★★★ Couldn't put this book down! Simply couldn’t put this book down. A must read for anyone who loves the east coast sea side. Written in a very informative yet warm manner as if the author is reading to you. Wonderful historical pictures. Brought back many fond memories and added historical background to familiar places. 4 stars – An easily digestible and well-produced book with many keenly-observed facts and insights. While the author delights the reader with some splendidly nostalgic content - with illustrations to match - there's also some reflection on the changing times, a current renaissance and future possibilities. A good book to take with you on your hols. 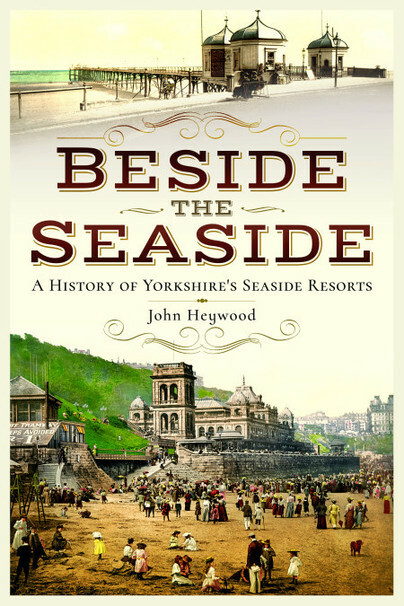 The story of British holidaymakers' love affaire with the Yorkshire seaside resorts can be equally applied to other seaside resorts around Britain's coast that developed and matured during the Victorian era, but author John Heywood has chosen to concentrate on Yorkshire, of course. My own love affaire with the seaside began in the early 1950s and continues to this day, first with annual two-week holidays to Ramsgate from the age of around two onwards, through a six-month stay in Southen on Sea while we waited to settle in Stevenage and then with my new wife in the 1960s, visiting Sheringham, Southwold, Lowestoft etc., etc., before eventually coming to live on the North Norfolk coast permanently. My day involves two walks along the cliffs with our dog, shopping in our little seaside town etc., and it is a permanent holiday. John's fabulous book examines people's fascination with and love of seaside resorts in Yorkshire, and the evocative photographs and excellent text make this one of the finest advertisements for such resorts to have ever been published. Brilliant! John Heywood provides a brief but fascinating history of the popular seaside resorts of God's own country. There's interesting stuff for both the historian and the casual reader. We’re spending the whole summer in Yorkshire so this was the perfect book to set the scene. I have previously visited a few of the places mentioned so it was a lovely trip down memory lane. A great reminiscence of a book covering the history of the seaside resorts of Yorkshire during those innocent days of fish and chips and candy floss, sadly disappearing from resorts these day. Having got no further than York and Harrogate, I intend to visit these lovely seaside towns before long. Read it before the soul goes out of them. Really enjoyed this one. Very different from my usual fare of nonfiction- history. The author had a very readable style. Definitely learned a lot. I feel like traveling to these places again after this read. Strongly recommend! 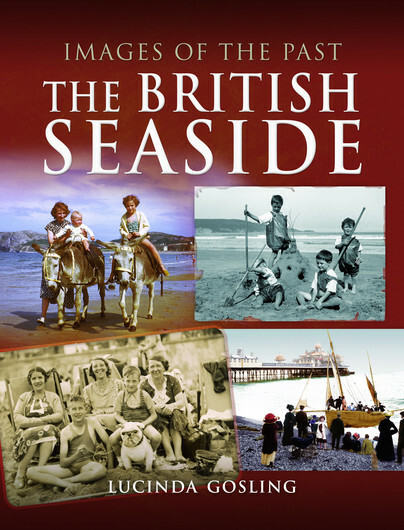 Lovely book about the history of Yorkshire's seaside resorts. If you have fond memories of childhood bucket and spade holidays or if you wish you did, you'll enjoy this. The book was a pleasant read mixing history and anecdotal comments to keep my interest. I'd recommend the book wholeheartedly. Full of information you wouldn’t find out on a typical trip to the seaside I’d definitely recommend the book if you are visiting the area and want to know more or if you simply wish to learn more about the fascinating history of the Yorkshire coast. Overall, I'd recommend this interesting book to anyone curious about how the Yorkshire coast resorts developed over the years. John Heywood is an experienced professional family and local historian living in West Yorkshire. He has had a passion for history for over forty years. His most recent book Silent Witnesses told the story of those men from the village of Horbury who paid the ultimate price during the Great War. Along with his wife Jenny, John takes great pleasure in being by the coast and as such, researching this book has been a real labour of love.